How to assess infrastructure climate risks? This training course for practitioners and decision makers raises awareness about the specific requirements to assess climate risks of infrastructure. Whereby, many climate risk assessments focus on larger spatial scales and entities, the system of interest for infrastructure climate risk assessment is at the object level and its assets. Moreover, the methodology developed by Engineers Canada and their Public Infrastructure Vulnerability Commitee (PIEVC), is working with infrastructure specifc impact thresholds for specific important climate parameters that are translated into climate indices projected into the future according to the life-cycle of the infrastructure. 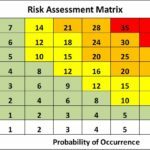 Finally, a risk matrix is esablished that allows for expert judgement or statistical estimation of propability critical climate events occuring as well as their consequences for the infrastructure asset, such as loss of functionality and serviability, or even loss of the asset itself. The assessment serves the evaluation of the climate risks calculated, and thereby the judgement whether the risks for specific physical components and operational aspects are acceptable or require specific risk treatment. The training, that is ideally to be conducted within 2 days, applies the harvard case method and provides a general understanding for the approach of the PIEVC methodology.